We are pleased to announce that WYHA’s CT Junior Eagles will once again be part of Connecticut Tier 1 Hockey. Our unique approach to how we run our Tier 1 teams has been very well received. There will be no major changes from our model that we have run over the last three years! We will continue to focus on player development, player exposure, and be 100% in sync with the players High School teams. We will remain “100% High School friendly” and focus on being highly competitive and getting the girls ready for their High School season!! School AWLAYS comes first!! Fees will be set at $1450 (extra cost for Jersey/Socks if you need them approx. $150). As stated, if our season goes beyond Regionals, we will add additional practices/games as we see fit and then divide up the additional cost. 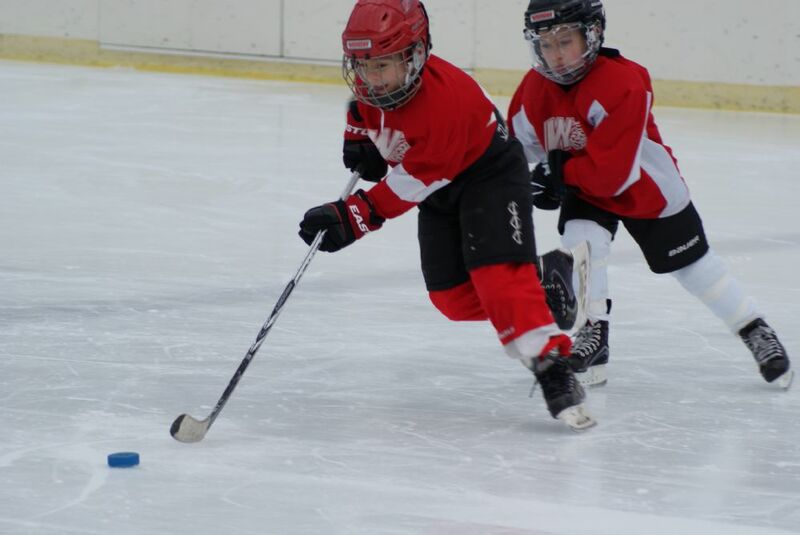 Watertown Youth Hockey's Evaluations for Mites, Squirts, Peewees, and CGHL Girls have been completed. If you are interested in joining any these programs please . Evaluation fee will be $75 and must be paid prior to the first evaluation on 4/13/19. We ask that everyone make their best effort to attend all three days. Similar to other programs at WYHA -- We are in GROWTH MODE with our Midget programs. We are hoping to field 2 Split Season teams and 1 Full Season team. We understand that there are more needs for split season teams out there and are doing our best to help. We ask that everyone help spreading the word on our Midget program expansion!! This is a great opportunity for ALL High School players in the area and also those who don't have High School teams to play on. The evaluation and selection of teams will be performed by outside non WYHA evaluators. Larry Erickson, President of the Watertown Youth Hockey Association, will take part in the Evaluation process as a liaison to the Board of Directors of Watertown Youth Hockey. Players will be evaluated during skating drills, small area games, and play in full ice situations. Goalies should tryout with their age groups at all sessions. If a player is trying out as a goalie, he/she will be placed on a team as a goalie only. The selection committee will pick what they feel is the most competitive “A” team possible at each level. When deciding to place players, other factors will be considered in addition to the player’s performance in the tryouts. A player’s previous coaches may also be contacted directly by the selection committee if further input is needed. No player is guaranteed a spot on any team based on their placement from the previous year. It will be extremely difficult for a player that does not attend the scheduled tryouts to make the A team, and will most likely be placed on the B team. Under extenuating circumstances, the selection committee and the board reserve the right to place any player they see fit on the A team, if all parties feel that is where the player belongs. All players that wish to be placed on a Watertown Youth Hockey Travel team at the Bantam level, must pay the tryout fee, regardless of whether the skater attends the tryouts. Good luck to all the players trying out for the 2019-2020 season!! Don't forget our new referral program!! Refer up to 5 non WYHA players to our tryouts, and if they register, pay, and tryout you will be credited $50 per referral towards your 2019/2020 fees! !